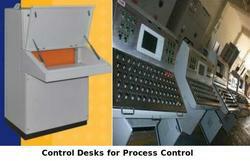 Pioneers in the industry, we offer control desk enclosure and control desks for process control from India. The range of Control Desk Enclosure is based on a blot, the range of control desk & control console enclosures is based on a bolt-on type modular construction. Each enclosure is configured using a variety of parts of various shapes, designed based on the specific application that the enclosure is serving in the control room. There by achieving a customized solution using standard components. These enclosures can be bayed to make a cluster of control room consoles. 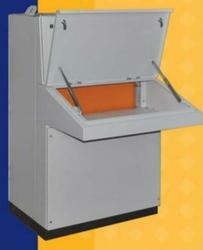 Control Desks for Process Control is based on a blot type modular construction. Looking for Control Desk Enclosure ?